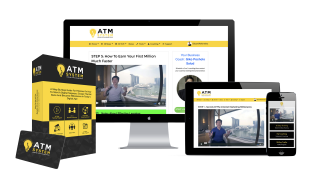 ATM System is an evergreen launch type funnel for 10 Step Training program and features 5 of Unity Network’s Millionaire Circle members. • The #1 Problem Why Most Filipinos Are Poor and The Simple Solution How To Solve It. 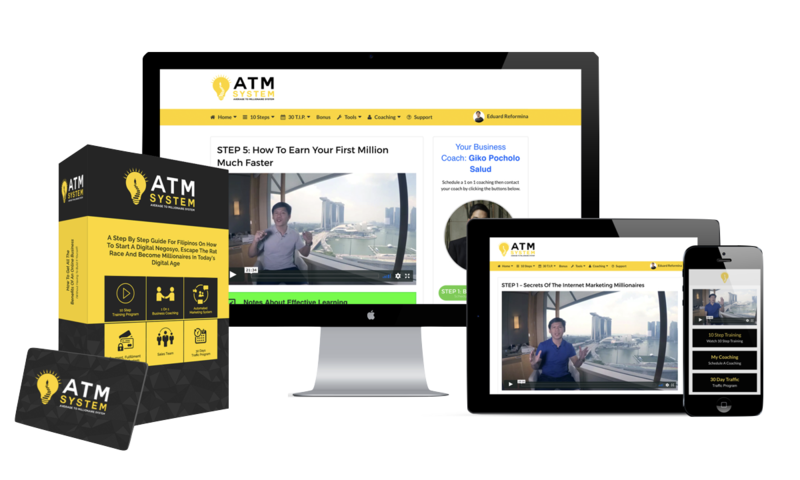 • How To Earn Your First Million Pesos With A Digital Marketing Business In 1 Year Or Less. • What Is The Business Model That Our 5 Millionaires Used To Earn Millions & Build Their Businesses Much Easier & Much Faster. • Why 96% Businesses Failed and The 3 Questions That You Need To Answer Correctly If You Want To Succeed. • The # 1 Method Used By Successful Entrepreneurs To Sell Millions Of Sales With Their Businesses. • How To Monitize Your Business Correctly and Make People Beg You To Take Their Money. • How To Use The Exact Same Sales & Marketing System That Already Paid Out More Than P50M Milyon Pesos To It’s Users. • How To Access The Step By Step Training That Will Show You How You Can Earn P3,000…. P10,000 Up To P21,000 Per Customer. • How To Get A FREE 1 On 1 Coaching With One Of Our Millonaire Coaches And Top Earners. I am ready to learn and become Millionaire soon! Hi. I am Ready to learn.